The Umbwe Route often draws fit young people who are attracted by the route’s designation as the hardest route on the mountain. 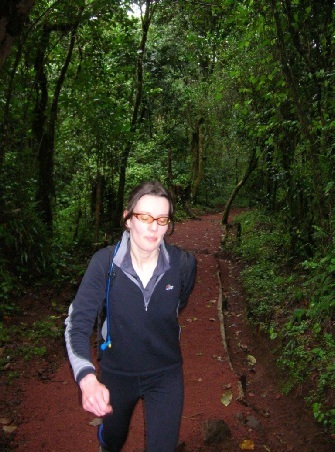 The route is certainly raw and unkempt and very steep until it reaches Barranco at 3,984m, from which point it intersects the Machame Route. Only two days are spent reaching the same point that is reached after three days on the Machame Route and for this reason headaches and mild nausea are relatively commonly on the Umbwe Route, even below 4,000m. The route can switch left from Barranco to summit via the Western Breach but nowadays more usually switches right, over the Breach Wall, to summit via Barafu. Please think carefully before deciding on this route. While challenging and exciting - unless already acclimatised from Meru or another 4,000m peak - your summit chances are considerably lower than on our own Rongai Route or the Machame and Lemosho routes. Want to See Photos of our Trekkers on the Umbwe Route? We keep an archive of all our climbs. See our Umbwe Route images. 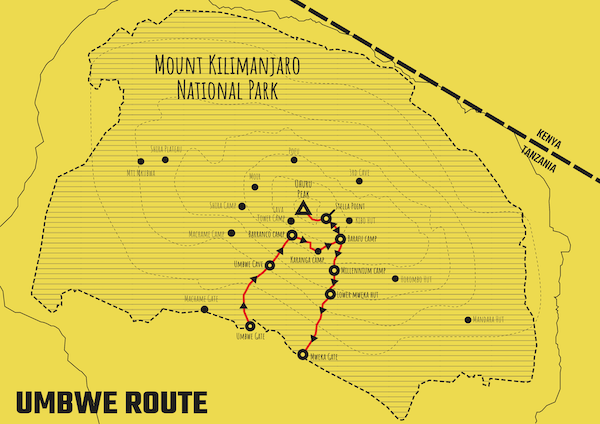 Want to know why we don't recommend the Marangu Route?